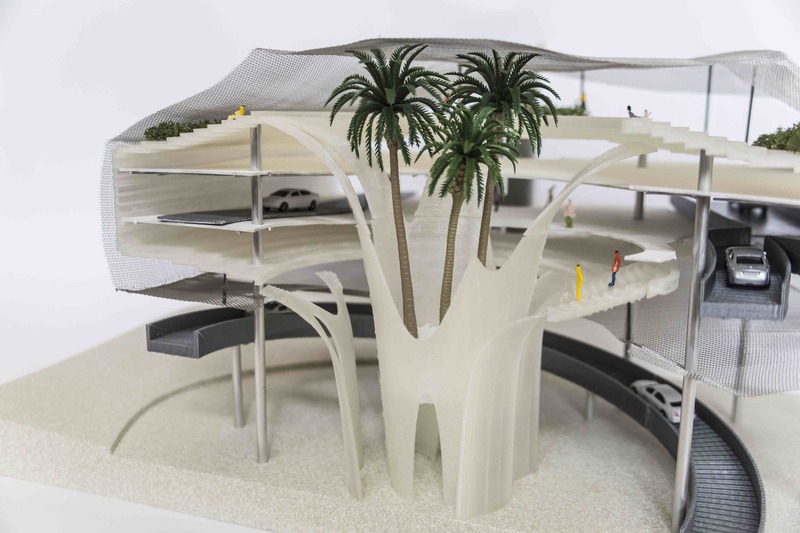 We brought the freeways into the site making "Autopia" like circulation inspired by Disneyland where driving itself becomes amusement. Cars, not people, become the units which can experience the space. 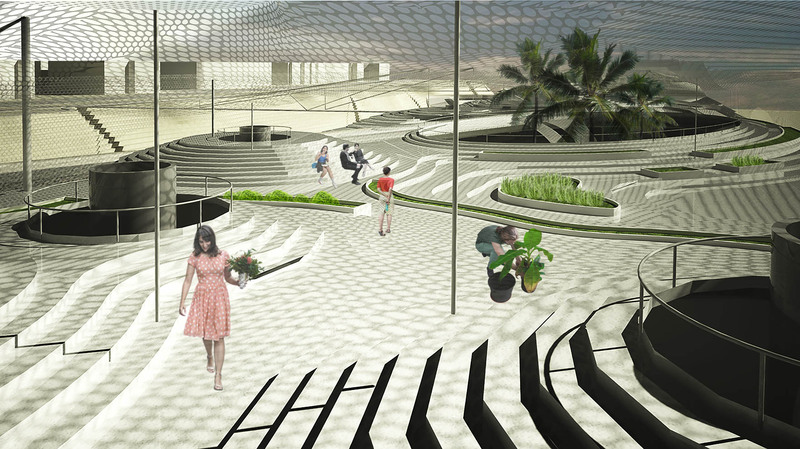 Elaborate freeways can create topography of the site which can be led to the beach. Along the freeway there are elements that represents LA freeway culture, including large parking lot where tailgate parties happen and drive-in theather. The abstract grid is cast on them like abstract grid is cast on Manhattan regardless of its natural terrain. The grid is placed side by side with no node and hierarchy, representing democracy of city. But the grid is deformed and distorted by freeways. This deformed grid becomes the road and parking lines and it becomes Manhattan island as a car parking building. Our design makes it possible to connect the flow of humans to the beach. 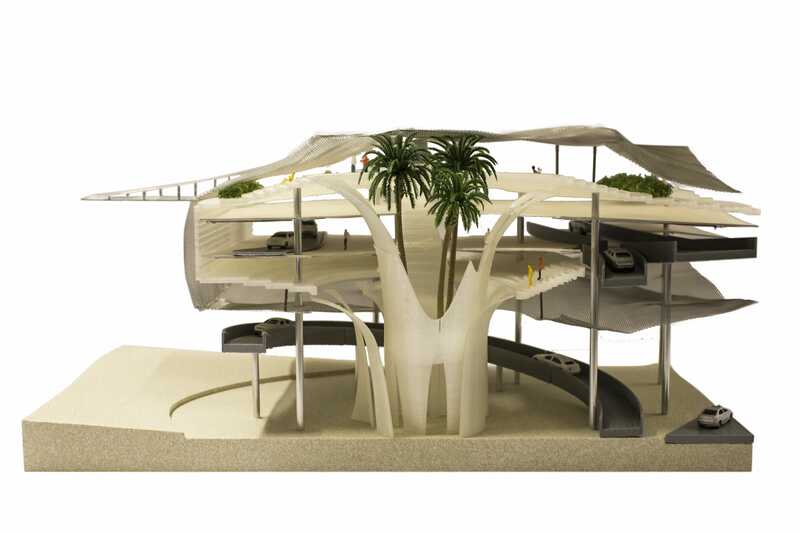 Palisades Park, freeway, cliff, pier, and sewer system are important environmental elements on the site. The sewer system passes underground and we use this water as agricultural water using purification system inside of the building. A farmer’s market is arranged to attract people from Palisades Park and neighbors. 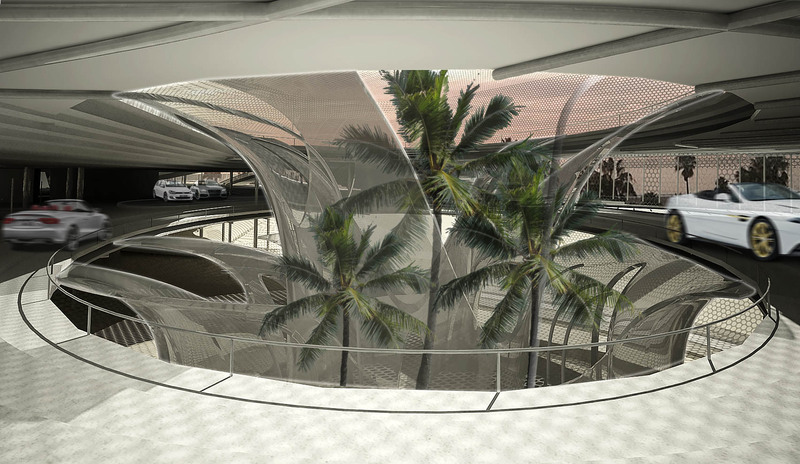 The freeway passes through the building, making an elaborate circulation so visitors can experience the whole building inside the car.